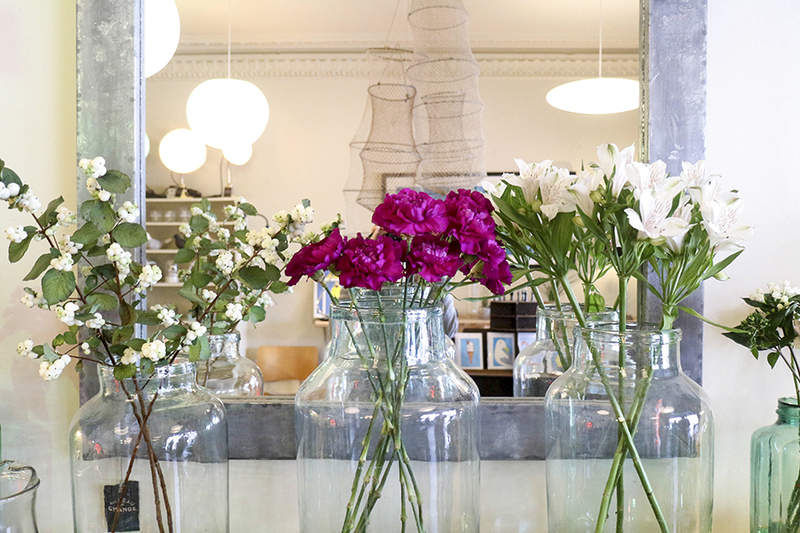 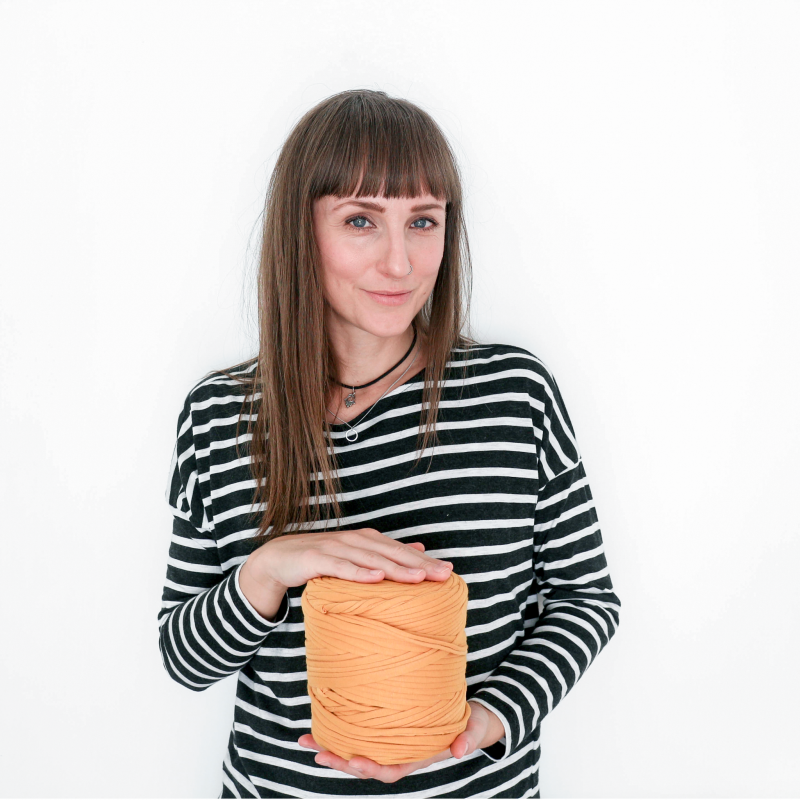 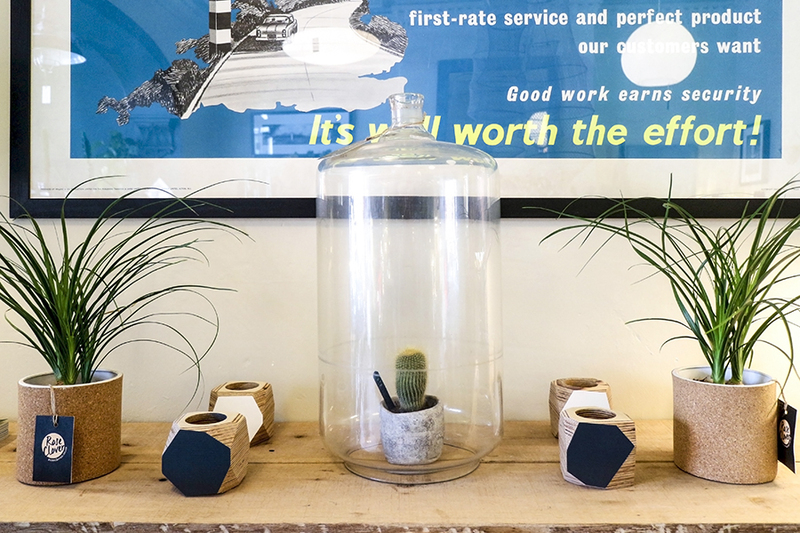 I’ve talked about the amazing Rose Clover and Bureau of Change shop before, and posted loads of pictures on Instagram, but recently they moved premises to Albert Road in Southsea – and oh, my gosh, the new shop is amaaaazing. 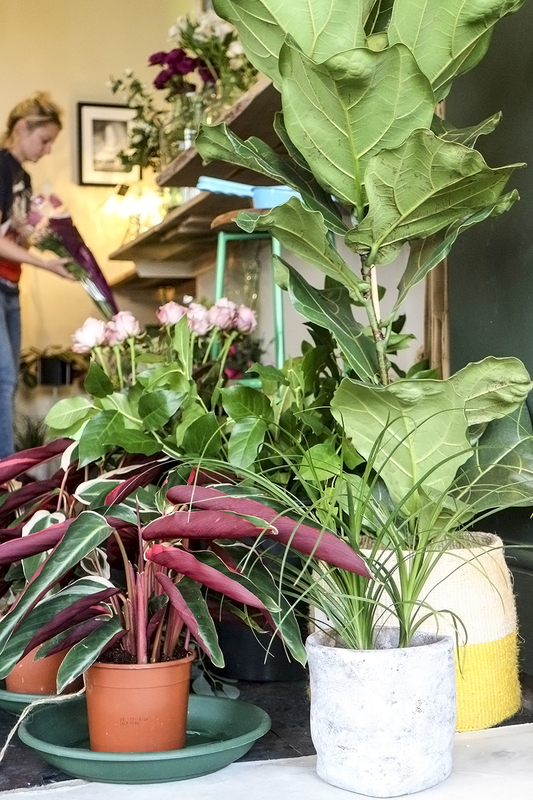 The front of the shop is all beautifully dark walls, a spectacular archway and original features, and is the home to most of the plants and baskets. 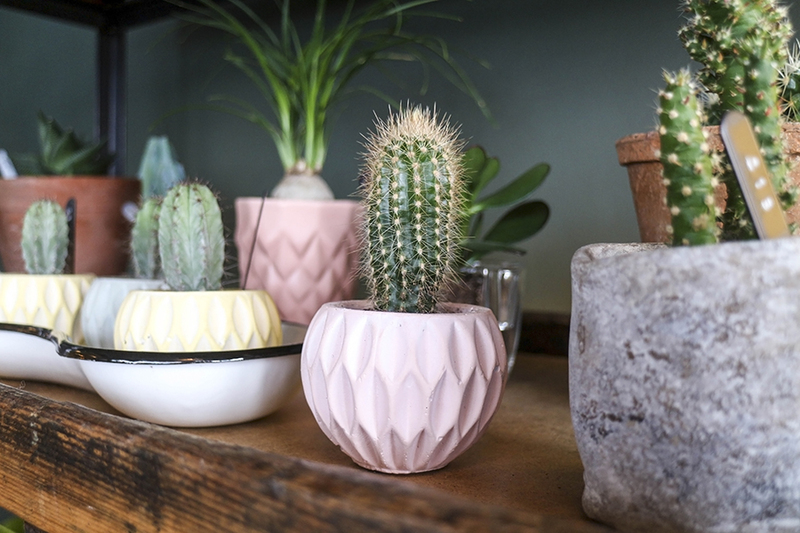 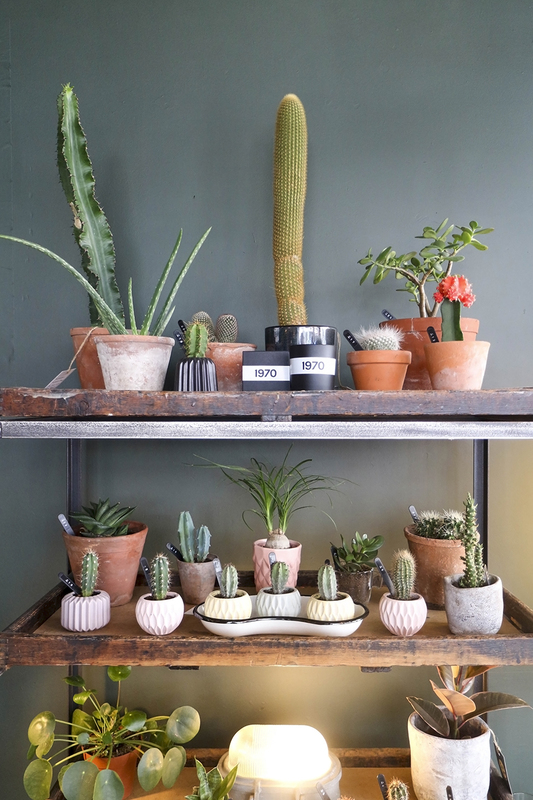 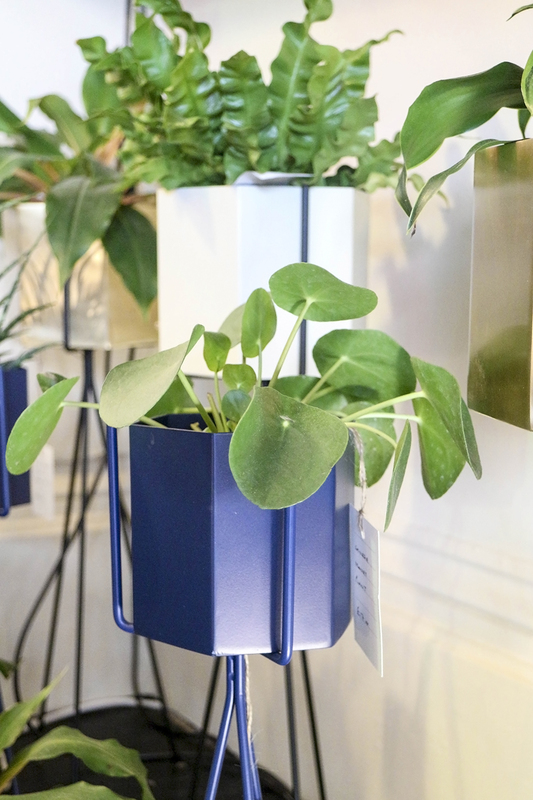 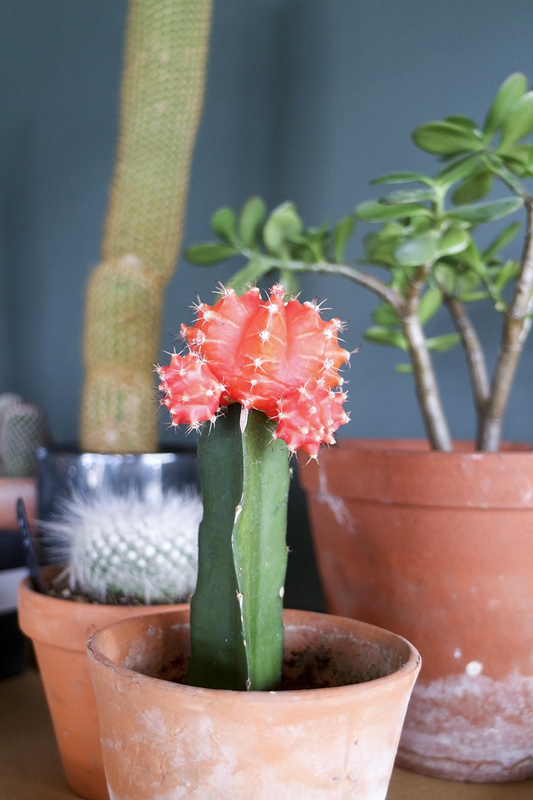 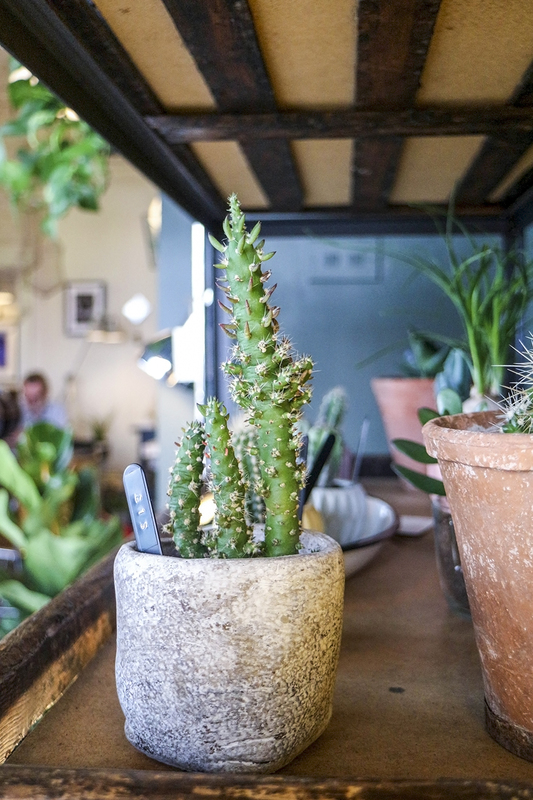 Industrial shelving is stacked with geometric pots, enamel trays and concrete accessories, and there is greenery everywhere; fishtail succulents jostle for space with pilea peperomioides, marantas sit snuggly inside rustic vintage clay pots and the hugest of cacti are displayed in handwoven baskets. 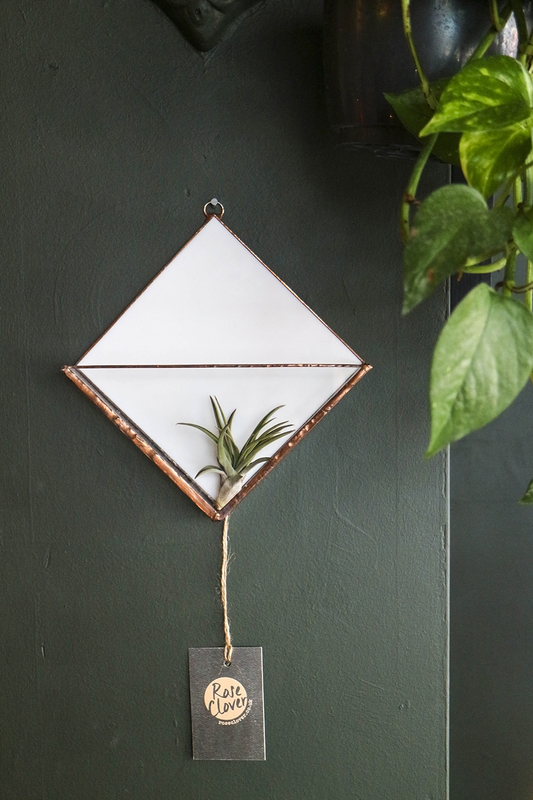 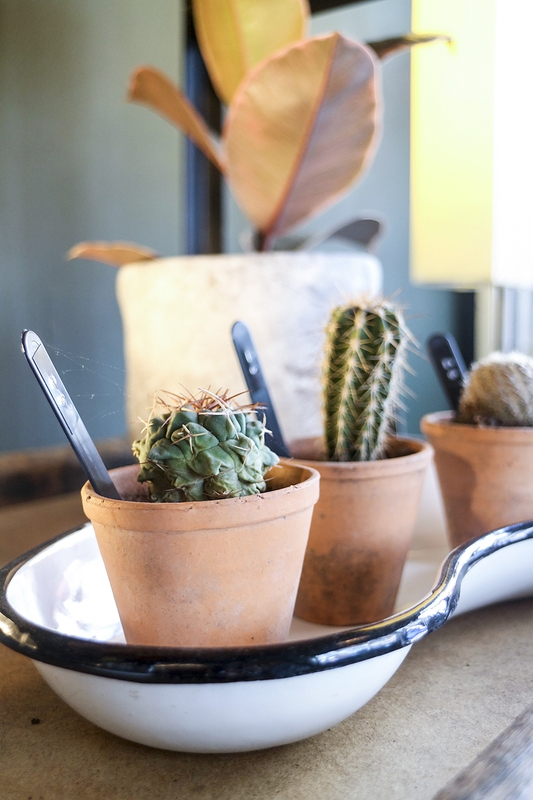 There are little extras everywhere; bunches of dried lavender, air plants nestling in corners and the walls are adorned with handmade glass terrariums. 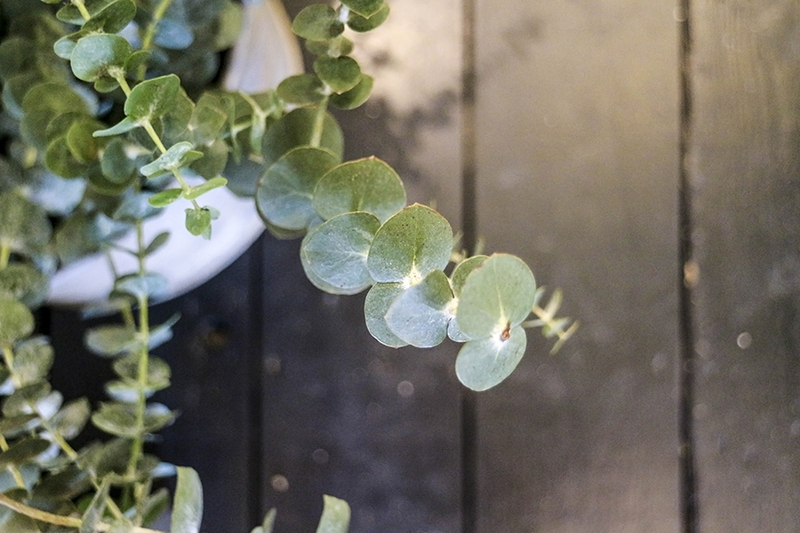 In short, it’s catnip to plant lovers. 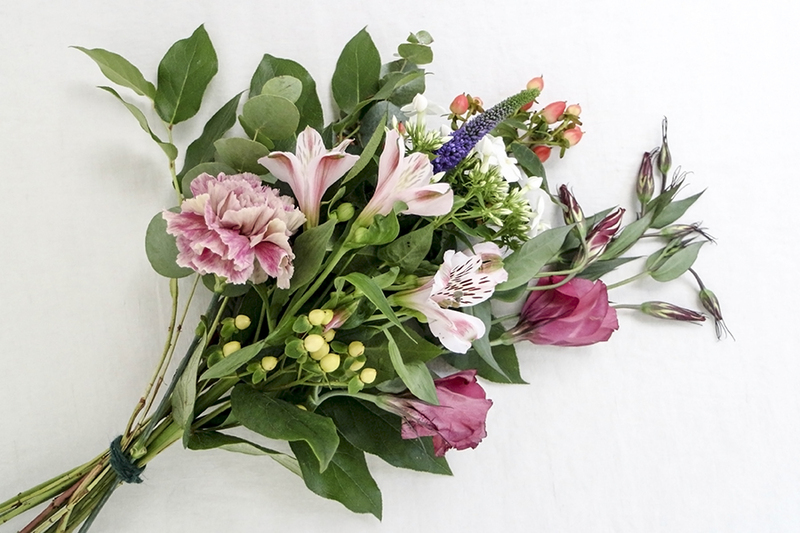 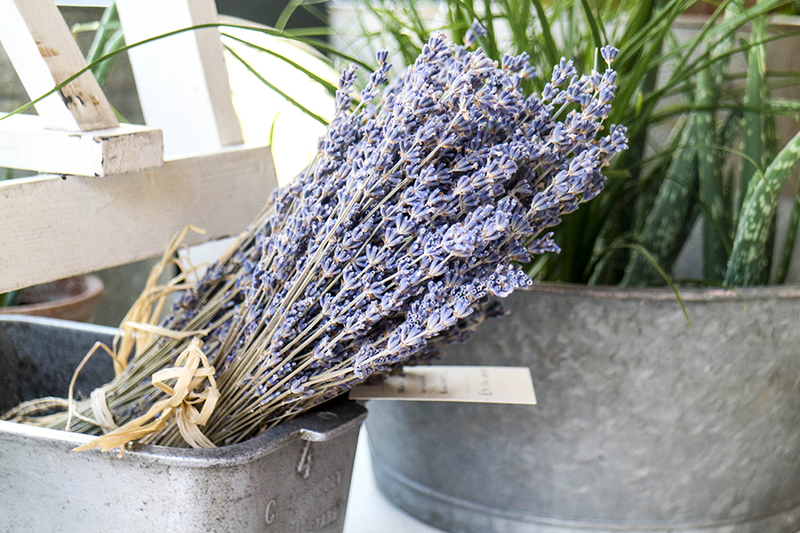 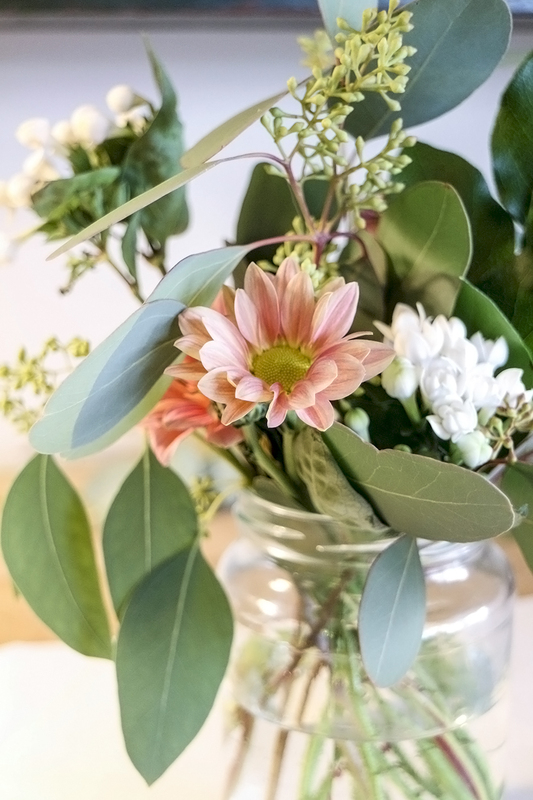 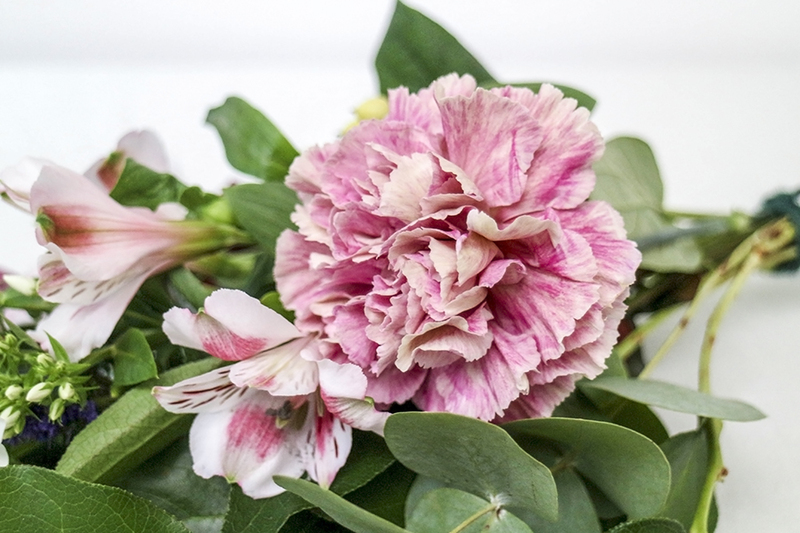 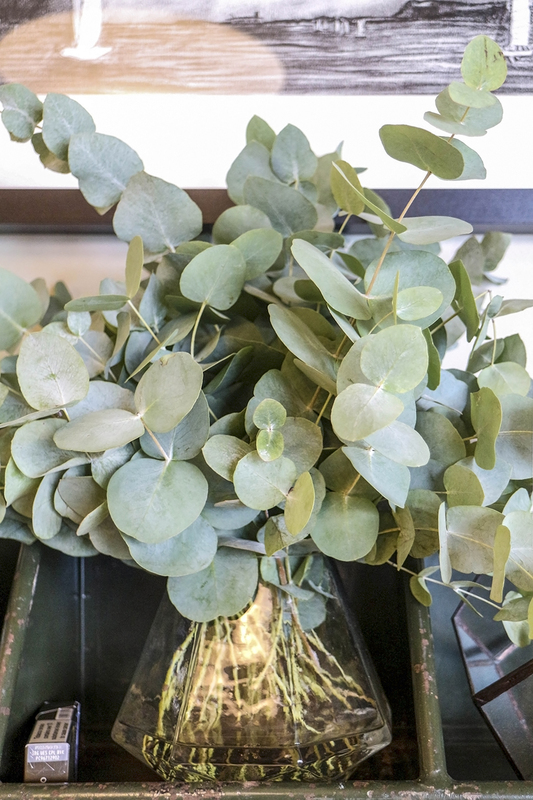 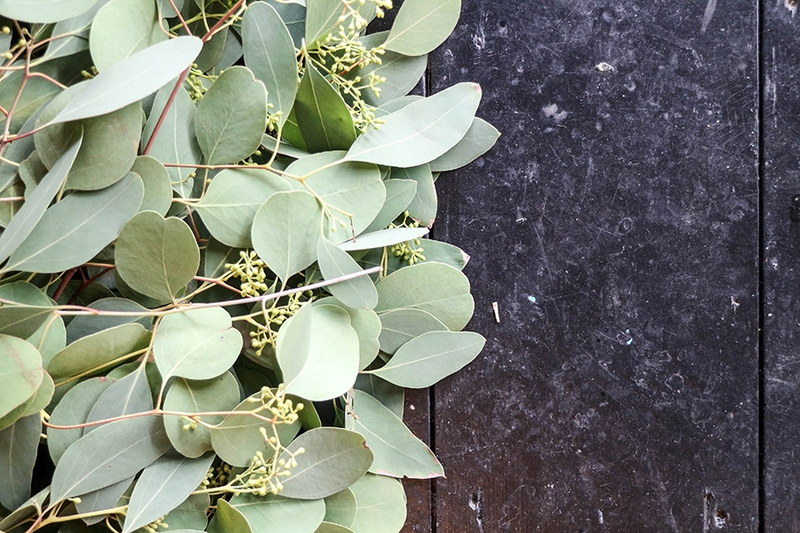 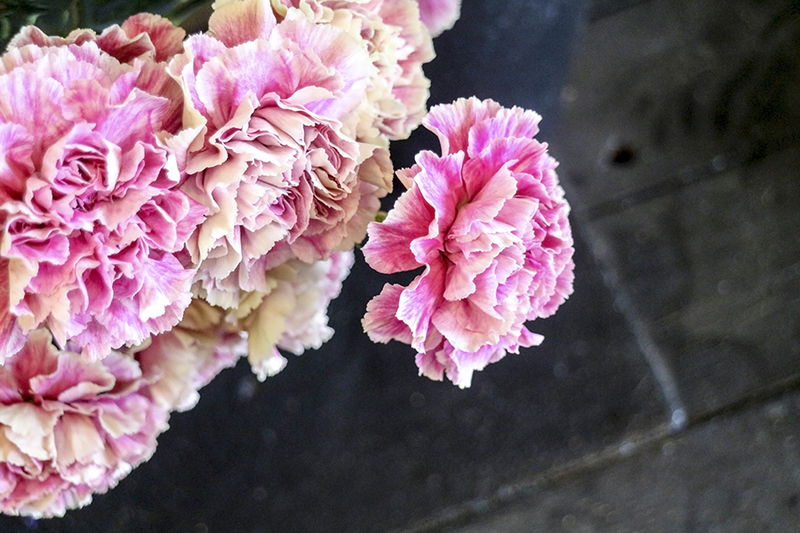 Further back, you’ll find the floristry space, where Liz makes up the most beautiful bouquets, and sells flowers by the stem – think the most exquisite blush tea roses, pointed spires of purple veronica, and bunches of scented eucalyptus. 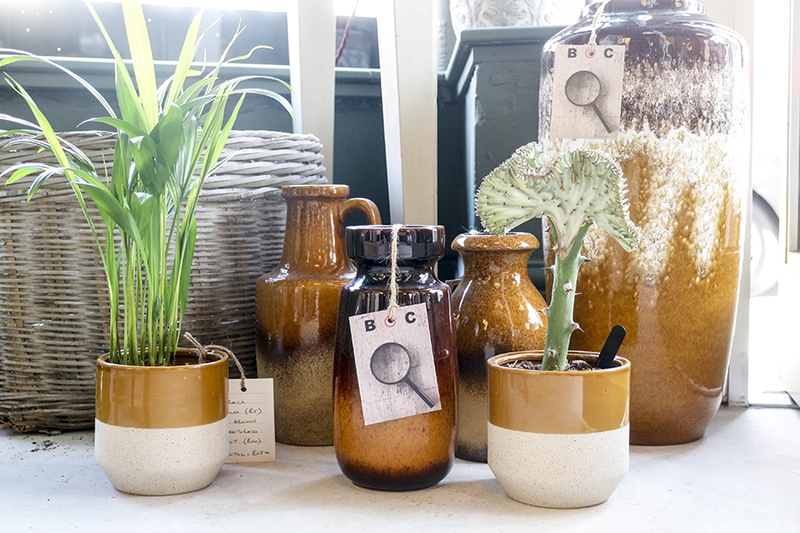 There’s also the furniture and accessories discovered by Neil, who owns the Bureau of Change; vintage and industrial lighting, glassware, prints, books, magazines and home accessories are all displayed beautifully, and work so well with the plants and flowers. 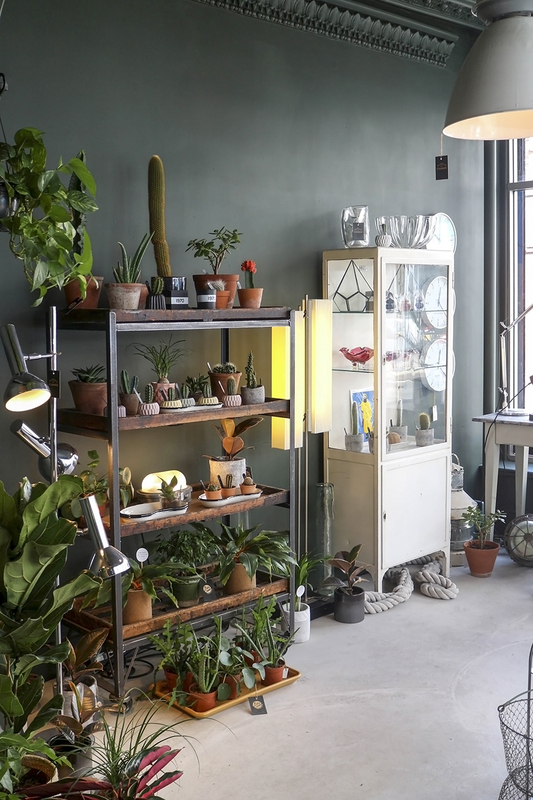 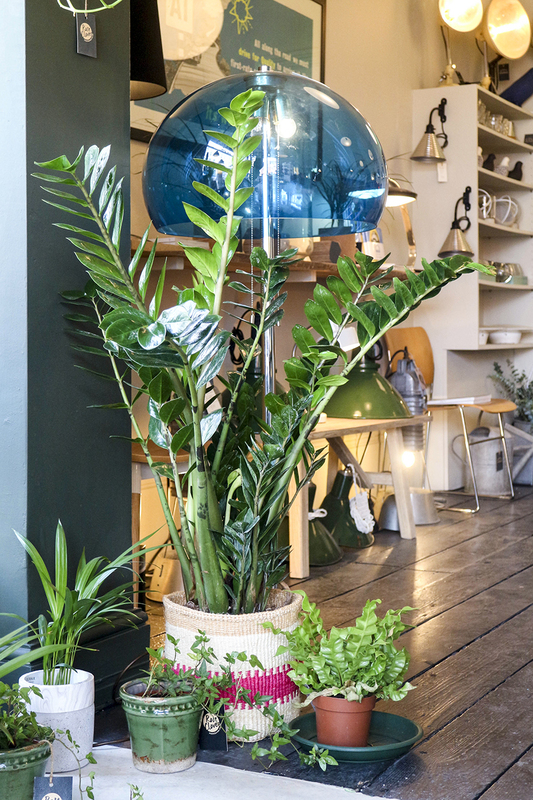 It’s the ideal place to browse on a Saturday afternoon, and at this time of year, I can’t think of anywhere better to find a Christmas gift for any plant-lovers or interiors fanatics in your life – if you live in Southsea, or are visiting in the next week or so, I can’t encourage you enough to pop in!